US Emissions Are Rising Once Again. What’s Behind the Change? On this week’s Interchange podcast, we examine America’s troubling emissions picture. Industry is one of the biggest contributors to the rise in 2018 emissions. After a period of moderation, heat-trapping gases are going up in the U.S. and around the world. In 2018, global emissions rose by 2.7 percent. And U.S. emissions rose by 3.4 percent, according to an early tally from the Rhodium Group. This week, we're going to put some meaning to those emissions numbers. We are joined by Brad Plumer, an energy and environment reporter at The New York Times, who will help us dig into each sector. Why aren't wind and solar making up for coal closures? 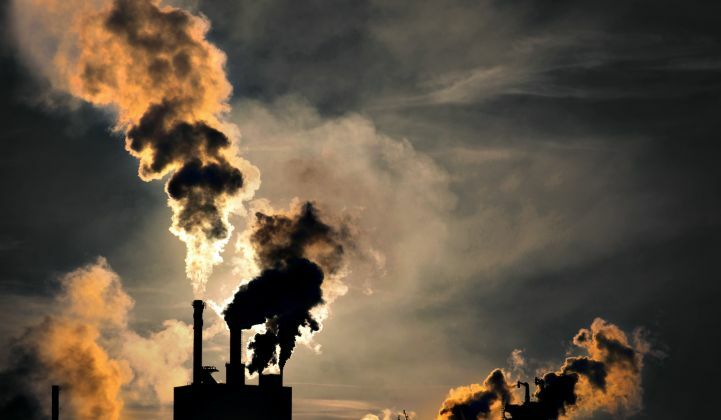 Which sectors are becoming the worst emitters? Will the "Trump bump" accelerate the emissions trend in the medium term? If we were king/dictator/wizard for a day, what sector would we address first? Don't forget to give The Interchange a rating and creative review on Apple podcasts for your chance to win a yearly subscription to GTM Squared!